Proposition 37’s late-game reversal of fortunes is stunning by the numbers alone, and these warrant a closer look. Among California’s 11 very expensive ballot initiatives, Proposition 37 is alone in showing such a clear reversal of public opinion in tight correspondence with corporate ad spending. Monsanto, Dow, DuPont, Syngenta, Bayer Crop Science and BASF (a.k.a. the “Big 6” pesticide corporations) joined processed food conglomerates in spending $46 million dollars to defeat Proposition 37. Meanwhile, supporters of the ballot initiative cobbled together a mere $9 million, and nearly won. Up until early October, in fact, polls showed Californian’s favoring GE labeling by a factor of nearly 3-to-1. As Tom Philpott notes, the No on Prop 37 campaign was “truth-challenged.” But propaganda and misinformation notwithstanding, at least two myths surrounding agricultural biotechnology have begun to unravel. A broader cross-section of the American (and especially California) public now knows that GE crops drive up pesticide use rather than curbing it, and that in fact, the science around the safety and efficacy of these products is far from settled. 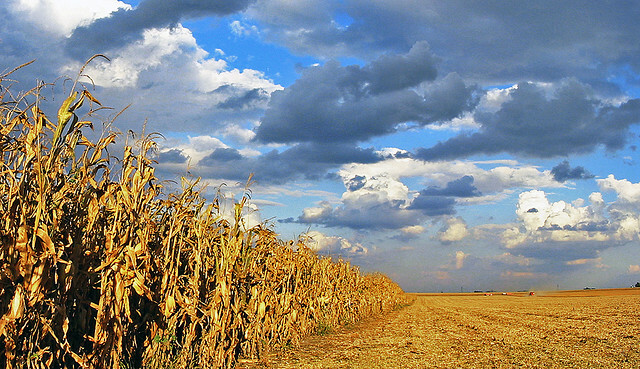 Prior to Prop 37, the link between the pesticide industry and GE crops was almost a secret. (99% of GE crops either contain or are designed to withstand high application rates of a pesticide). Now, even those who opposed the measure and could not tell you exactly how GMOs and pesticides are connected know that it was Monsanto and other pesticide industry heavyweights who came out swinging against GE labeling. And after a century of bad corporate behavior, nearly every world-wise American now knows at a gut level that Monsanto is not to be trusted. In the fuzzy-logic world of consumer culture, GE food’s brand has been seriously tarnished. And many other state-based GE labeling efforts are in the works even now, including Washington, Connecticut and others. Whether or not all of this means that the food movement is past the pimply stage of early adolescence, the fact is that California’s labeling fight broadened and emboldened this movement’s power base just as we are heading into a series of regulatory fights over new GE crops in the pipeline, and preparing for what looks like a spring 2013 re-authorization battle over the now-expired Food and Farm Bill. Prop 37 broadened & emboldened this movement’s power base just as we are heading into a series of vital policy debates. If the fiscal cliff and other DC distractions succeed in keeping Congress from passing a 2012 Farm Bill in the lame duck session despite our insistence that they get off their duffs, then the very same sustainable food and farming forces that gathered together to push for Prop 37 will turn our attention and newly honed skills to securing the kind of agricultural policy that withdraws governmental support from the system of agriculture embodied by Monsanto. For every additional dollar of funding we win for organic agricultural research, that’s one dollar of public funding that will not be devoted to developing more GE crops that fail to deliver on promises to farmers and the public. And in this Farm Bill fight, we will bring to bear a broader base of power as well as a public disabused of the notion that agricultural biotechnology is the best thing since sliced bread. Even more immediately, this not-so-nascent movement will be ready to push back when USDA moves to approve the next in Monsanto and Dow’s pipeline of new GE seeds — none of them adequately tested, and each engineered to withstand heavier applications of more toxic herbicides than the last. When our regulators fail once again to do their jobs, and we in the trenches of the sustainable food and farming movement say, “Not so fast!” — we will say so with a louder voice, and in concert with a public who has a fuller awareness of what’s at stake.